The police has re-arrested five out of the six suspected criminals who escaped from Police custody in Lokoja, Kogi State on Wednesday. The suspects were linked to the Senator representing Kogi West, Dino Melaye. Two of the alleged criminals, Kabiru Saidu, a.k.a Osama (31) and Nuhu Salisu (25 ) aka small, were first arrested on January 19 at Ogojueje in Dekina Local Government Area of Kogi State and they confessed to being hired by Mr. Melaye to cause mayhem in the state. Osama, who, according to the Force Public Relations Officer, Jimoh Moshood, confessed that he had been working as a political thug for Alhaji Mohammed Audu who later introduced him to Senator Dino Melaye is the only suspect still on the run. Osama told the Police that he met Melaye at Airport road, Abuja inside the Senator Melaye’s car in the month of December 2017. 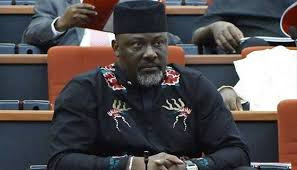 “The suspect further confessed that Sen. Dino Melaye told him that they should start working for him as his political thugs and they should recruit and train other thugs to work for him in preparation for the 2019 general elections to enable him (Dino Melaye) challenge his political opponents. However, following the escape of the suspects from custody, the Inspector General of Police, Mr. Ibrahim Idris, ordered the removal of the State commissioner of police, Ali Janga. Sources in the Police, however confirmed to SR that five out of the six suspects have been re-arrested.